Wow, it's August already, how time just keeps passing me up. 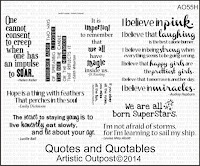 This month at Artistic Outpost, for the Product Focus, we are featuring the stamps found in the Verses and Greetings stamp category. All stamps in the Verses and Greetings category on the Artistic Outpost website are ON SALE for 20% off through Saturday, August 8, 2015! No code is needed to shop this sale, the sale price will be reflected in the shopping cart. (Retail Customers only). Details can be found HERE on the AO Blog. I choose this quote from the Quote and Quotables set...but only used part of it. If you think about your stamps, you'll find that you can use just parts or words from a stamp...sure gives you a lot more bang for the buck! Be sure to stop by and see what the other gals have featured this month. Great sentiment, Gerrie! I love your card with the sparkley flourishes. The background makes a good contrast to the pink. 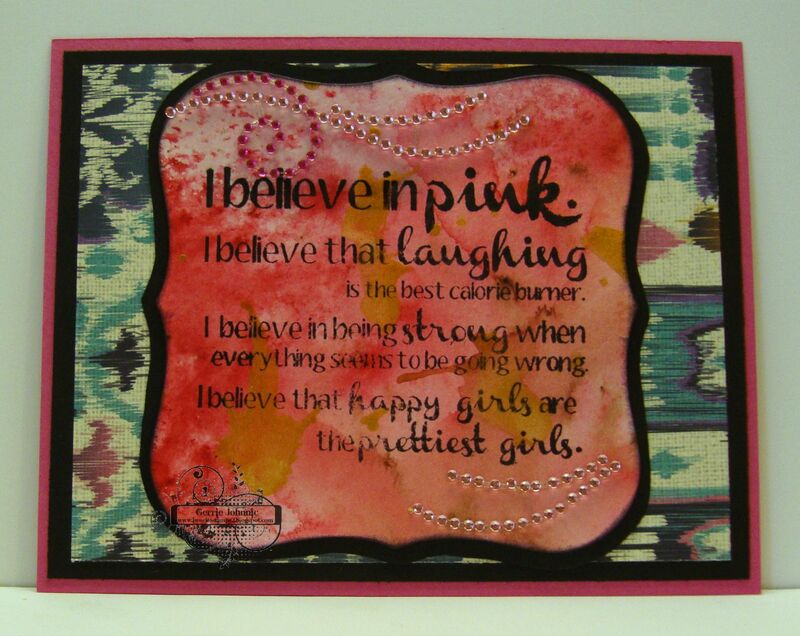 And, of course, I love the pink! One of my favorites sayings from Quote and Quotables! 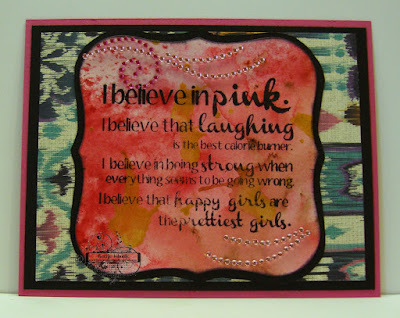 Gerrie, I love the way your broke it up and personalized it and that pretty background with added bling is stunning! Love this, GF! Gerrie this is stunning, great background. Wonderful Gerrie, love that quote from Audrey Hepburn! what a beautiful sentiment GF love it and your card.